The Middle-Atlantic RSH4 Custom Rackmount Finished in Brushed Black can install virtually any component in a standard 19" enclosure. Custom cut to provide the perfect opening for the face of the component you are mounting. 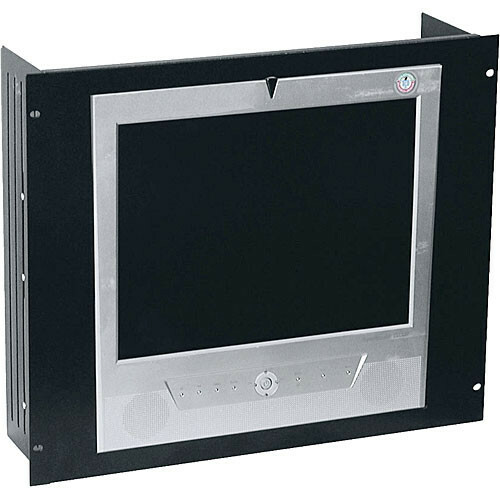 This custom built rackmount assembles easily in minutes and is made of durable 16 gauge steel. The rear brackets are included to prevent your mounted component from sliding backward. Made of 16 gauge steel with a rear bracket and a customized face plate you can be guaranteed that your equipment will be securely held in place. This piece is custom cut to hold your components in a standard 19" rack. If you live in the US or in Canada you get that added knowledge that your customized rackmount is UL Listed. Select the brushed black color to compliment your already existing equipment and office decor.